For chefs, creating a signature macaroni and cheese menu item can be intimidating because of its known popularity and strict critics. With a little imagination and some simple ingredients, Foothill Farms helps you create unique recipes that appeal to every appetite. From traditional to gourmet, Mac & Cheese is evolving! You have grown up but has your “Mac & Cheese”? Macaroni and cheese is thought to have been around since before 1769, according to an article by SmithsonianMag.com. From its simplest form as plain macaroni noodles coated in melted American cheese to the introduction of additional ingredients, “Mac & Cheese” is still a staple on U.S. menus. For chefs, creating a signature macaroni and cheese menu item can be intimidating because of its known popularity and strict critics, some of which are under 10! 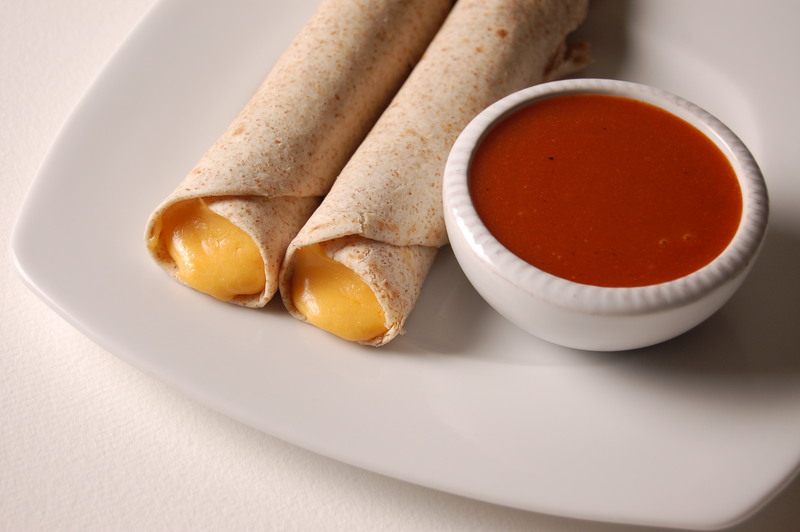 The sauce consistency is important – not too thick and not too thin. Some desire a mellow flavor while others like to taste something unique. Our Three Cheese Mac and Cheese Sauce mix was designed to give those wanting to stay the course a delicious, satisfyingly simple pasta dish. For those ready to indulge, adding extra ingredients like bacon, vegetables, varieties of grated cheeses, and using a different sauce can turn a simple Mac & Cheese dish into a rich memorable experience. A perfect example is Lobster Mac & Cheese. 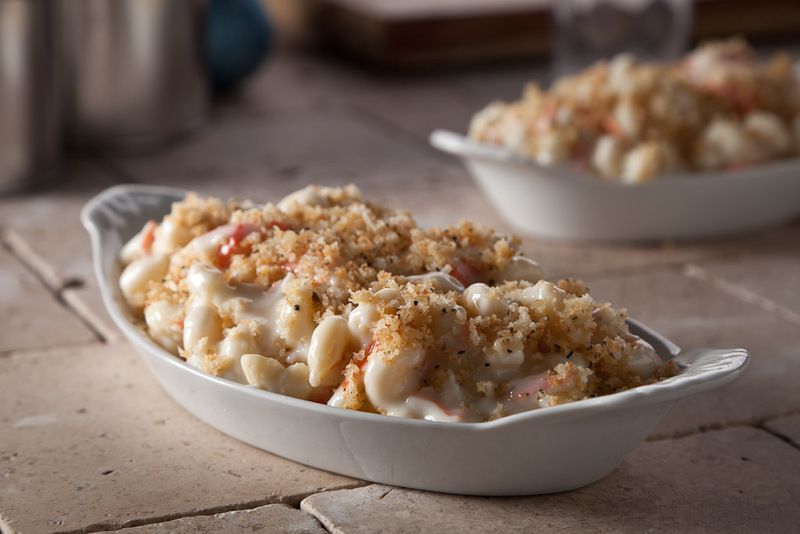 It incorporates chunked lobster meat, béchamel sauce and white cheddar to make a luscious sauce that combines with your choice of pasta noodles and bakes with a Caesar bread crumb topping. What about on a sandwich? Macaroni and cheese doesn’t have to stay in the bowl! Some chefs are beginning to experiment with this 2 ½ century old staple. Traditionally, bread is served alongside pasta but what about serving pasta between bread? Our Chef Martin has created a recipe that does just that – Alfredo Pepperoni Mac ‘N Grilled Cheese! The recipe starts with an Alfredo based macaroni and cheese and incorporates spicy pepperoni that is placed between two slices of Texas toast and griddled until golden brown. The results are nothing short of outstanding! Don’t forget the newest hot trend – Sriracha sauce! The benefit of using a dry mix is that you can easily kick up a sauce mix by adding extra ingredients like steak sauce, hot sauce, and BBQ sauce. In fact, a signature version of “Mac & Cheese” can be made using any of our unique cheese sauces recipes: Cheddar Cheese Steak Sauce, Chipotle Cheddar, KC, or Memphis Cheese Sauce to name a few. With a little imagination and some simple ingredients, you can create unique recipes for macaroni and cheese that appeals to every appetite. What do you think about Mac, Cheese & Waffles? As a foodservice professional, how do you tap into specific regional dishes that may be unfamiliar to your own local cuisine? One of the greatest attributes of our great American food nation is the variety and quality of its distinctive regional cuisines. Think of a state and you’ll likely think of a dish for which it is famous. It’s this specific regional appeal that consumers are looking for. 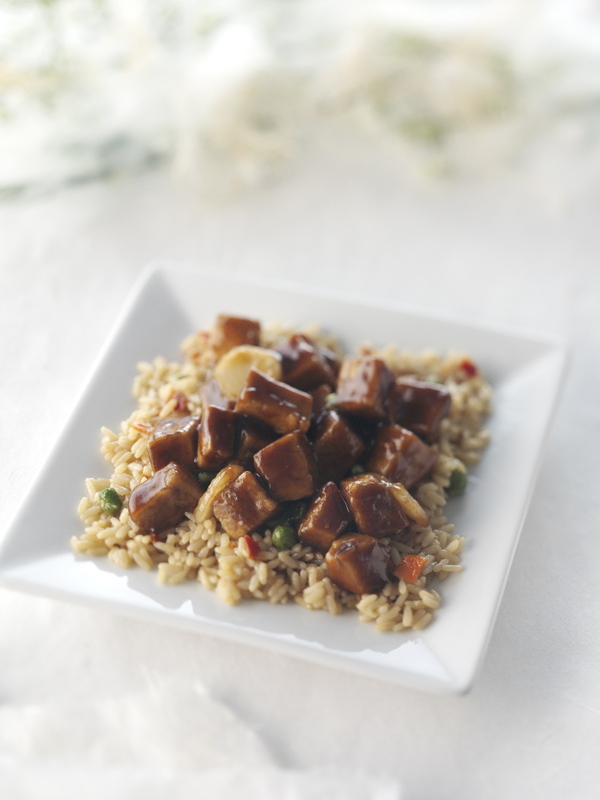 What are some great ways to add some regional flare to your menu? Come with us on a trip across the U.S. Starting in the northeast, explore the many variations of clam chowder with New England Clam Chowder , a cream based soup with clams, seafood, and savory potatoes. Manhattan, Rhode Island and New Hampshire each have their own unique regional flavor. Seldom do you think of Maine without picturing a plastic bib with a giant, red lobster on front. Although traditionally steamed or boiled and presented on a platter, it is also an attractive ingredient in pastas like Lobster Mac & Cheese. Massachusetts brings us Boston Baked Beans and New Jersey lush cranberries. Side dishes of signature baked beans or foods utilizing cranberries or cranberry sauce are favorites year-round. Cranberry Nut Bread Pudding is a nice dessert to make a guest’s mouth water. Two foods that want to claim territory are pizza and wings. A special crust, sauce, or topping will add signature to the menu. 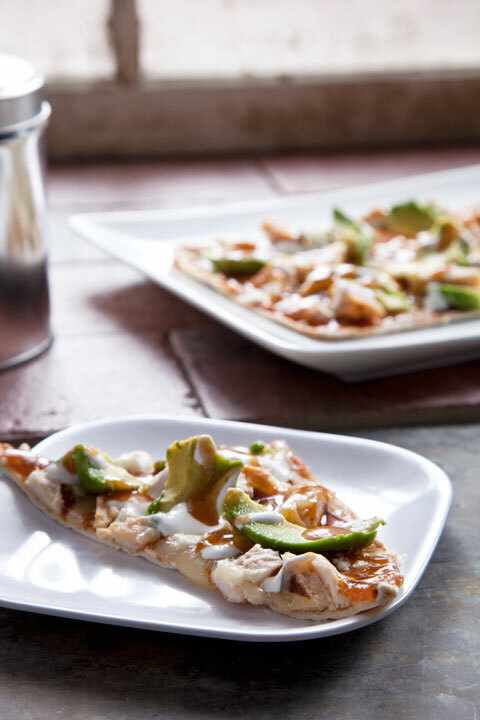 Up North, the menu features classic New York Style pizza which is a thin, hand-tossed crust pizza with gooey mozzarella cheese and tomato sauce. New Yorkers often buy this favorite by the slice then fold it in half and eat it like a sandwich. Buffalo offers its famous hot wings which consist of a deep-fried, unbreaded wing coated in vinegar-based cayenne pepper hot sauce and butter served alongside celery sticks and blue cheese dressing. Hand-crafted thick, rich and creamy dressing perfect for salads, dipping sauces and sandwich spreads. Moving your menu to Philadelphia allows you to showcase the popular Philly Cheesesteak sandwich with its thinly sliced steak, grilled onions and peppers, served on a roll and topped with melted cheese. This versatile sandwich can become a favorite anywhere in the nation! Midwest cuisine brings out the barbeque fan in all of us with its delicious BBQ varieties. Missouri is home to two styles of BBQ: Kansas City and St. Louis style barbeque. Kansas City BBQ uses a variety of meats including pulled pork, ribs, beef brisket, chicken, and turkey that are cooked with sweet tomato and a thick molasses base BBQ sauce. Kansas City’s specialty is called burnt ends, which are the extra crispy tips of cooked beef brisket. St. Louis BBQ features thick-cut pork shoulder steak, which is slathered with a tomato and vinegar BBQ sauce of a thinner and less sweet consistency than Kansas City sauce. The “Windy City” of Chicago offers a hearty Chicago style deep dish pizza which is made in a cast iron pan dusted with cornmeal. The crust is placed inside to cover the entire bottom and sides of the pan and cheese is sprinkled directly onto the crust followed by meats and vegetables. Smooth tomato sauce is poured over the top before baking and the end result is nothing short of fabulous. Perfectly creamy and extra cheesy grits topped with grilled shrimp and bourbon sauce for the perfect southern comfort food. Bring the heart of the South into your kitchen with some Southern regional favorites. Grits, a traditional southern dish made of hominy (ground corn) is made into a porridge. While popularly served for breakfast, grits can be flavored with butter, sugar, or syrup. However, grits are no longer just a breakfast food and have found themselves on the dinner plate, especially when cheese is added. Grits are also commonly used to accompany shrimp as a side dish. Another true Southern favorite is Chicken fried steak or “Country” fried steak, a steak that is breaded and fried like southern fried chicken. Chicken fried steak is served with a country gravy poured over it. Serve on top of biscuits or Southern chicken fried steak. Explore New Orleans cuisine on your menu by featuring the Creole or Cajun styles developed in this area, the history of which helps us understand the differences between the two. Creole cuisine is a blend of French, Spanish, Native American, and African traditions and is seen as fancy, classical cuisine because of the aristocratic lineage. Creole cuisine uses fine ingredients, like shrimp and oyster, as well as ingredients that are not native to the region. In contrast, Cajun cuisine uses a simpler more rustic style of food, with entire meals often made in one pot. Wild game like rabbit, duck, crawfish, and alligator are often used in Cajun cooking as these dishes rely on more of the plants and animals native to the region. Cajun cuisine also tends to be spicier than Creole cuisine. Let’s steer our menu over to the great state of Texas and explore Chili con carne. Chili cook-offs are so popular because there are so many ways to prepare and enjoy chili, and everyone seems to have an opinion. The only ingredients allowed in true Texas chili are chunks of slow cooked steak, chili peppers, cumin, and other spices and this version does not add beans. Sweeter spices like cinnamon and allspice, which are common in Cincinnati chili, are not added to Texas-style chili. A cheesy variation of chili is the addition of creamy melted cheese to create Chili Con Queso. 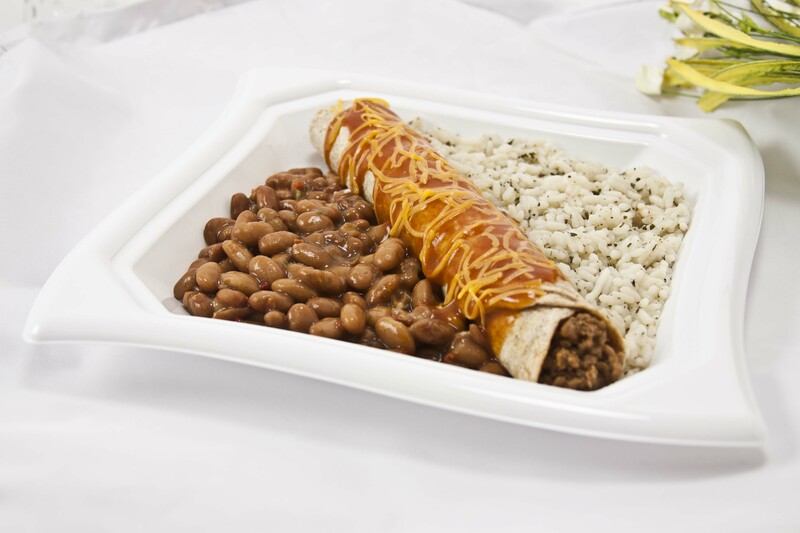 Along with chili recipes are Tex-Mex recipes, which are the fusion of American and Mexican cuisine. Combining flavors from both sides of the border, Tex-Mex meals include nachos and fajitas. The robust blend of herbs and aromatic spices entices palates with all the flavors of a sizzling summer cookout. California is famous for the avocados grown in the Southern regions and currently produces 95% of the national avocado harvest. This fruit has surged in popularity because of its distinctive flavor and nutritional value, including high dietary fiber and protein. Our Mexi-Cali Cobb Salad with Avocado Ranch Dressing recipe is a light, delicious dish that takes advantage of this California gem. Speaking of ranch dressing, the West also boasts the ever-popular Ranch dressing which was invented in Santa Barbara in the 1950s and has become the most popular salad dressing across all states. The creamy dressing, typically made from buttermilk, sour cream, yogurt, onions, garlic and other seasonings can not only be used as a dressing for salads, but also as a dip for chips. We can’t leave California without visiting Northern California’s wine country. Combine a dry, white wine with butter and Monterey Jack cheese for a delightful sauce to adorn fresh caught seafood like sea scallops. As a foodservice professional, how do you tap into specific regional dishes that may be unfamiliar to your own local cuisine? Foothill Farms® dry-mix, speed-scratch products will help you do just that. 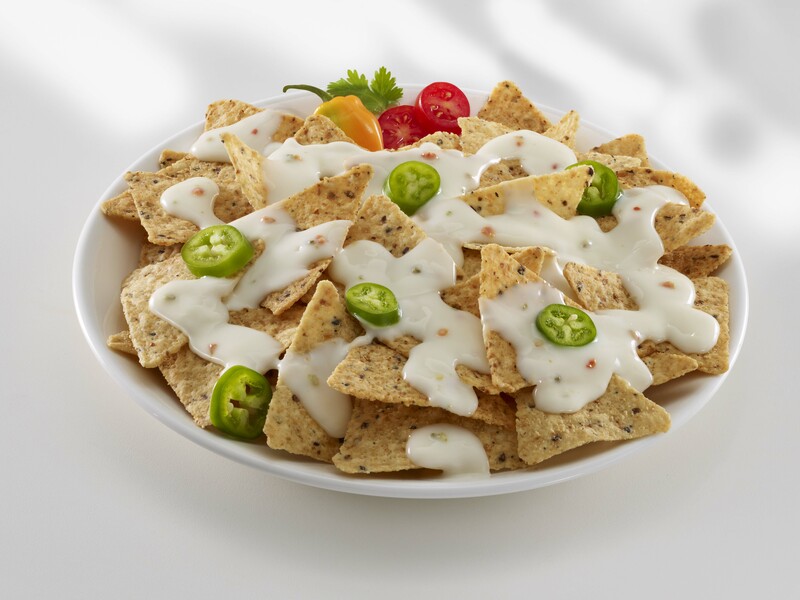 From New England clam chowder to Tex-Mex dishes, our products and recipes will help deliver consistent, flavorful dishes no matter what region your menu features on any given day.